Fall weather is in full swing and its time to pull out the boots and sweaters. 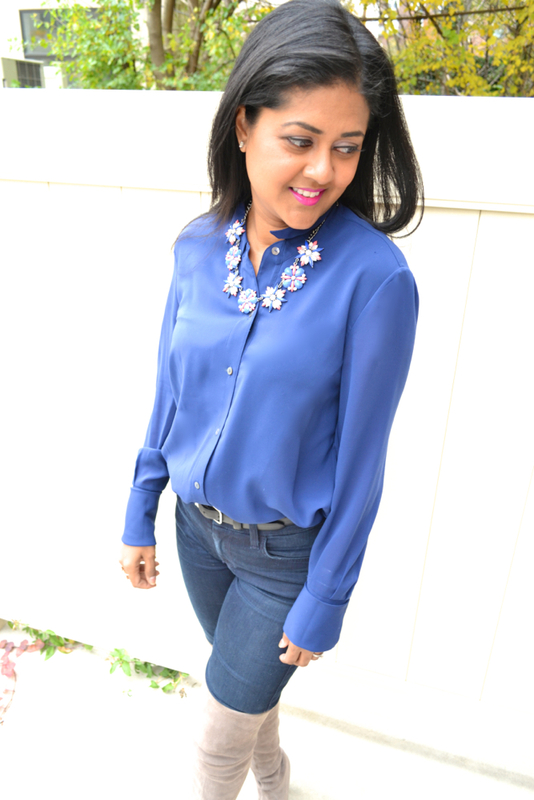 I am a big fan of blue for fall since it is so versatile and classic. 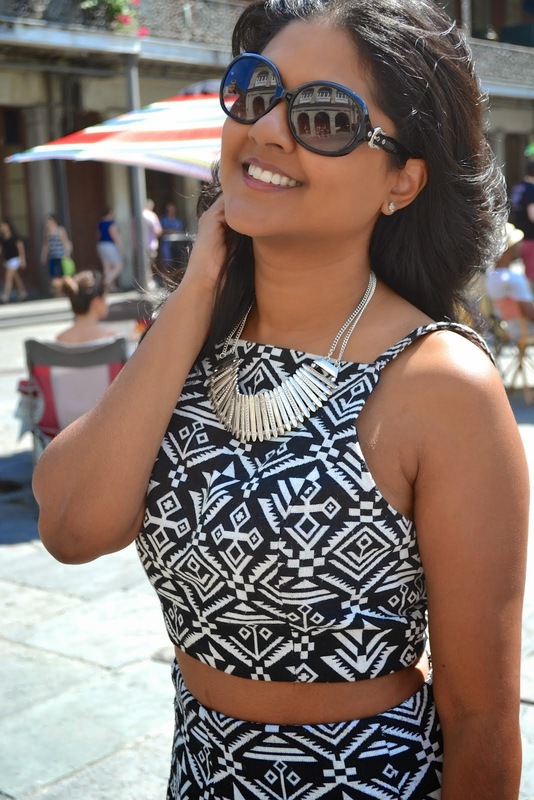 The monochromatic look is the best backdrop to my Amrita Singh necklace. You have seen me wearing her pieces before and I love her jewelry style. 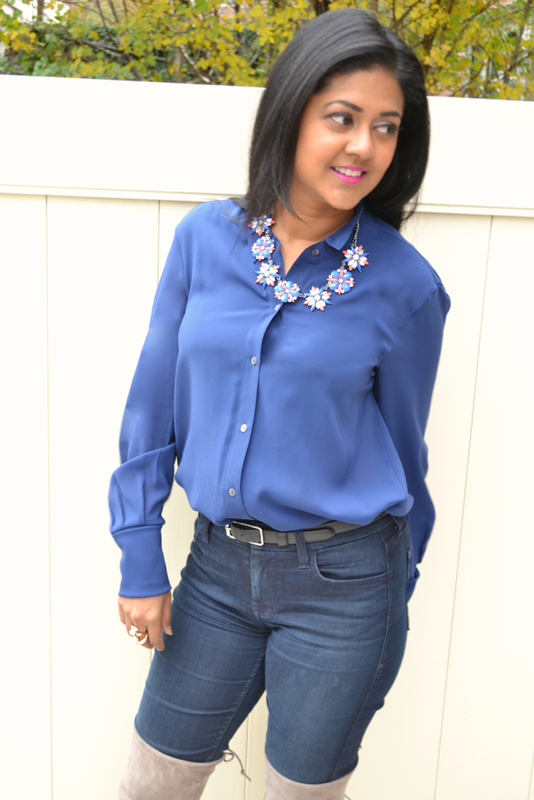 I've updated my collection of Amrita Singh jewelry with this pink and blue Ritzy Statement necklace! It is the best combination of my two favorite colors. This necklace will make any outfit stand out! The designer, Amrita Singh, infuses traditional Indian jewelry with a modern flair. Her pieces are exotic and artistic and are known for their sparkle and shine. I have a variety of pieces, from statement necklaces, rings, bangles, and earrings. They compliment each outfit and is always my standout piece. I am sure to receive numerous compliments when I wear her jewelry. 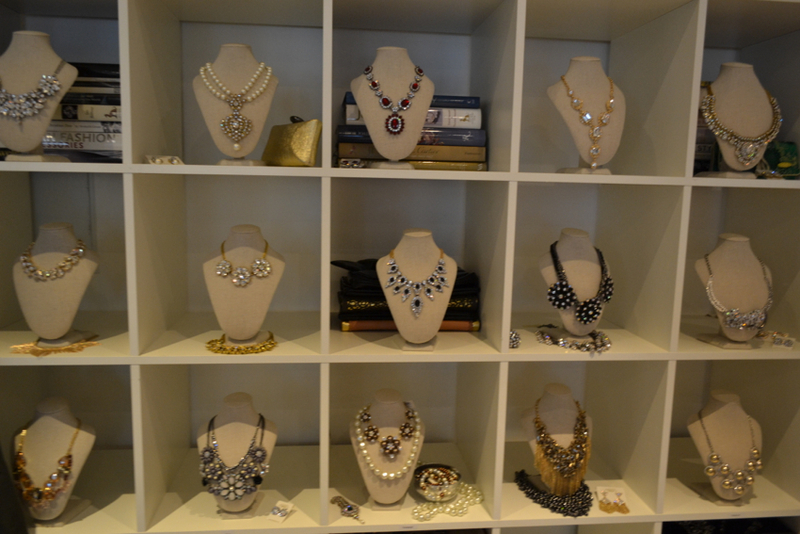 This high quality line is perfect for each woman who wants to stand out and is excited about jewelry. They make dressing fun and uncomplicated. 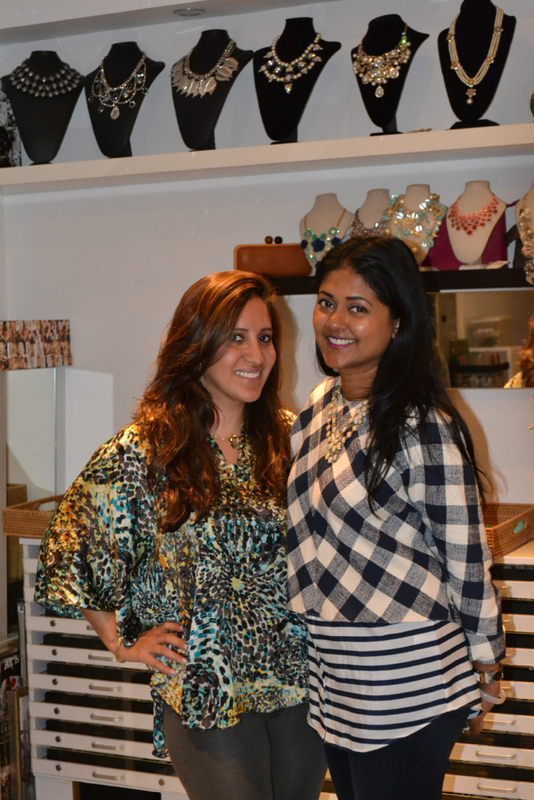 I had the honor of meeting the designer, Amrita Singh herself and explore the showroom. You can see the immense aesthetics in every piece. These are items that are timeless and unforgettable. 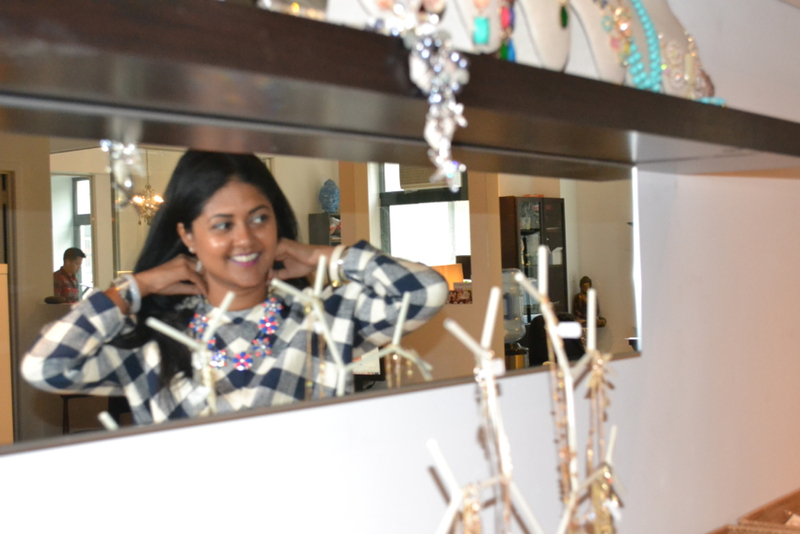 You can see me below wearing one my very first Amrita Singh statement necklace with the designer. This was a dream come true and I am excited to partner with such a renowned brand. Make sure to take a look at their site for their new fall collection and enter below for your chance to win this necklace!! !